The Trump administration often appears “too incompetent to act on its worst impulses,” said Gabrielle Bruney in Esquire.com. But in unveiling a plan “that would force immigrants to choose between feeding and housing themselves and their children and being awarded green cards,” Trump’s anti-immigrant hard-liners remind us of the cruelty they are capable of inflicting. 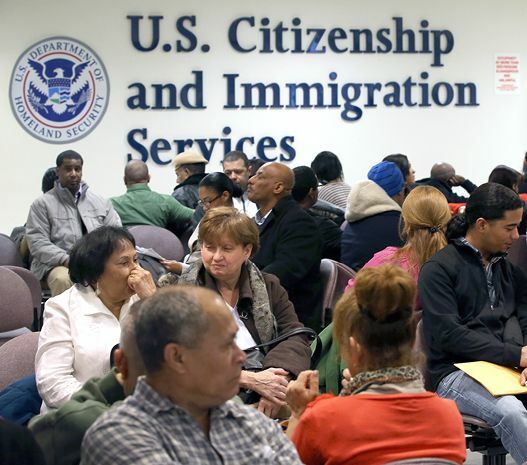 The new rule would make receiving any public benefits—including Medicaid, food stamps, public housing, even prescription-drug subsidies—count as “heavily weighted negative factors” in the consideration of green card applications. Ironically, the only immigrants affected by this rule would be legal immigrants—“you know, the ones who are ‘waiting in line’ and doing everything conservatives say they’re supposed to do.” Why punish these families for getting a hand as they build new lives?